When you’re the president of the United States and leader of the free world there are undoubtedly certain perks, like flying in your own airplane or being able to skip traffic in your motorcade. But that doesn’t mean you’re exempt from snapping a picture of someone else every once in a while. 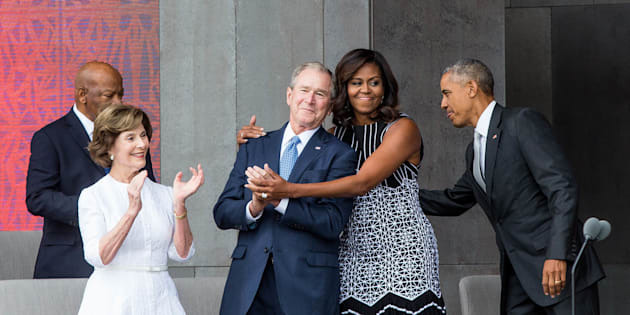 On Saturday, following the dedication of the new Smithsonian National Museum of African American History and Culture on the National Mall in Washington, former President George W. Bush asked President Barack Obama to snap a picture of him with someone attending the ceremony. Obama was shaking hands when Bush tapped him on the back and made the request. After fumbling around with the phone a bit, the president happily obliged.